Corgi have something for diecast fans, in the form of a bunch of downloadable wallpaper images of some of their models. Each image is available in several sizes, to fit popular computer screens. Here we feature the 1:48 scale Sopwith Camel (above), 1:72 scale Sea King, and 1:36 scale Mini. The wallpapers are a nice idea Corgi, but maybe - speaking with our purist-passion spectacles on - you might have chosen something other than the Mini. 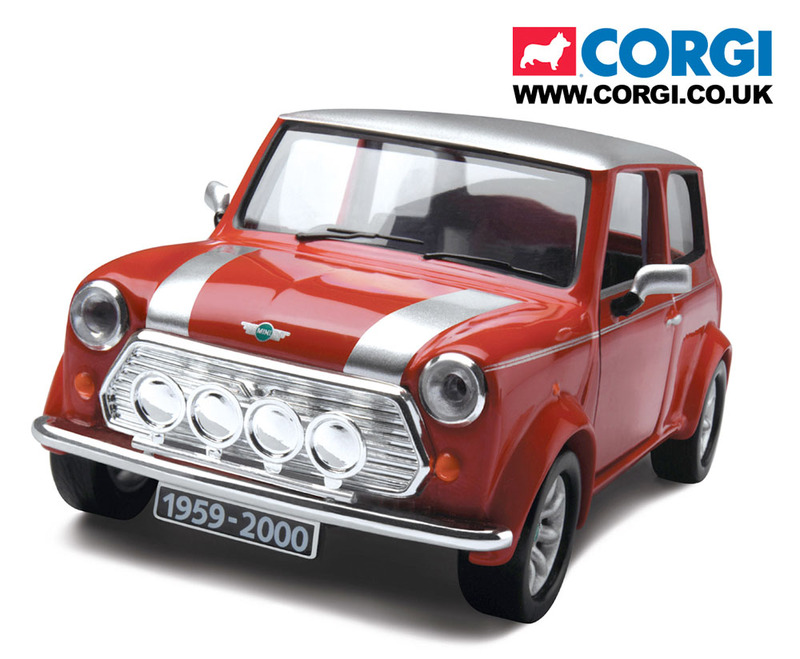 Doubtless the classic Mini is a popular seller to the wider public, but as a scale model for accuracy-freaks, it's asking for more. Overall, the car is recognizable, but detail and proportion could do with refinement. And as for the chromed quad-lights upfront, they are far too simplified. Bearing in mind the loving care that goes into similar items on Corgi's trucks, it seems a shame they cannot have the same treatment. Corgi, we’d love it if you released a Mini that can hold its head up against other diecast manufacturers in similar scales, or even better, go up against the competition from the likes of, for example, Sun Star with its 1:12 scale beauty, which we’ll be looking at soon. As a company that’s based in the UK, home of the Mini, we think you owe the car and its admirers a world-class dead-accurate model. It is after all, one of the seminal cars of the last century. 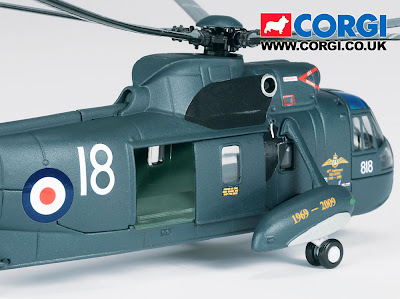 Here's the Sea King, a nice model that Corgi has supplied in various versions and markings. However, we're not so sure about the rotor blades in this particular pic - maybe someone's warped them with a hair-dryer on maximum heat, or perhaps they've been assembled upside down. Take your pick! 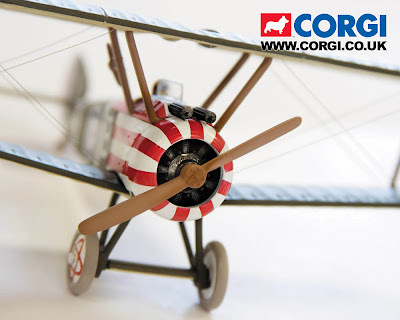 Visit Corgi Wallpapers for these and other models here.